KARA: Have you ever wept over a character? Lynda K. Scott: Yes, unashamedly. I almost always get teary at one point or another in the book I’m currently writing. In my first novel, HEARTSTONE, the hero, Eric, sacrifices himself to save the heroine, Keriam. That’s both noble and a sign of true love. 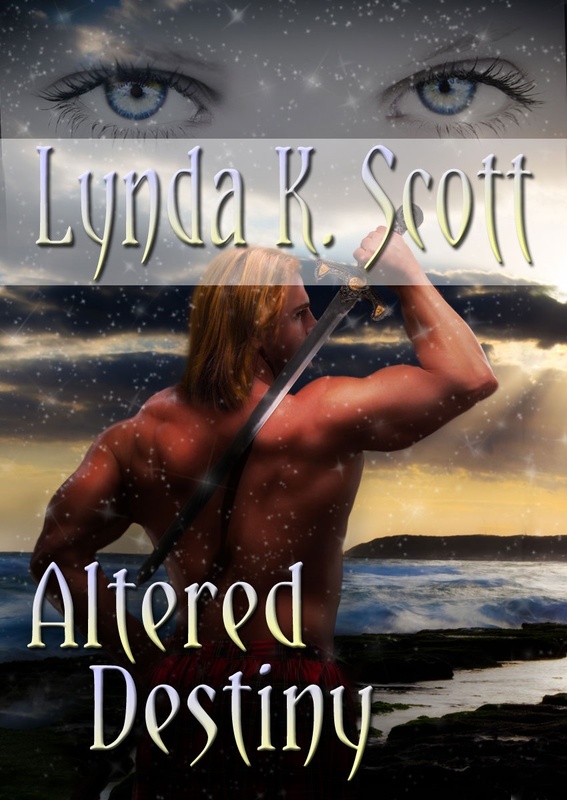 In ALTERED DESTINY, the teary moment was less dramatic and more romantic when the heroine, Liane, turns to the hero, Devyn and tells him to call her Annie as a sign that she accepts him and her place in his world. I always get deeply, emotionally involved with the main characters especially since I’ve lived with them, their fiercest desires and their deepest secrets, while I’ve told their stories. I’m pretty sure all authors do. KARA: What genres (or sub-genres) have you explored? Which do you find the most challenging? Why? Lynda K. Scott: Under a different pseudonym, I’ve written straight speculative fiction, horror and urban fantasy. I’ve also dabbled in Young Adult. Since I’m a ‘Fly Into The Mist’ sort of writer, I find them all challenging but I enjoy writing them. Right now, my sub-genre of choice is Science Fantasy Romance. I love a good love story and I love science fiction and I love to throw fantasy elements in there even though I do explain them in a sort of scientific way. For instance, the aliens in my ALTERED DESTINY, an alternate Earth story, look like elves but they’re no more elf-like than Mr. Spock of Star Trek. They brought the dragons that inhabit North America to hunt as sport. Even their ‘magic’ is explained as a higher form of science. It all makes sense and, as a writer and world creator, that’s important to me. Lynda K. Scott: I tend to flounder in the mist during the first couple of chapters but there comes a point when the mist clears and I can soar. The story proceeds rapidly and I’m eager to see what happens next. That’s when I know I’ve hit my zone. KARA: Do you prefer to write novellas, short stories, or full-length books? Which do you prefer to read? Lynda K. Scott: I’ve done all three. And while I love each of the shorter stories, I adore the novel length books I’ve written. Probably because I have more room to explore both the characters and the worlds I create. I actually prefer to read novel length fiction for the same reasons. KARA: If you were reincarnated as an animal, which would you be? If you think you’ve been an animal already, which one? 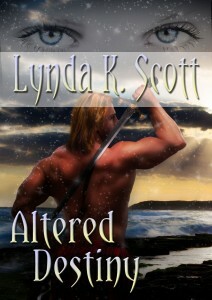 Lynda K. Scott: I’d be a wolf shifter or maybe a dragon shifter. I just did one of those fun ‘What Would Your Werewolf Name Be?’ based on your initials. Mine would be Fierce Temptress. How cool is that? Wouldn’t that make a neat werewolf name? Or even a neat dragon name? KARA: Absolutely! A memory: You are looking at your very first published book, for the very first time in print or as an ebook. Tell me exactly what you are feeling? Emotions and sensations. Where are you? Who is the first person you tell? KARA: Thank you so much for spending time on Dey For Love, Lynda. It was a real treat! How can readers follow you and find your books? 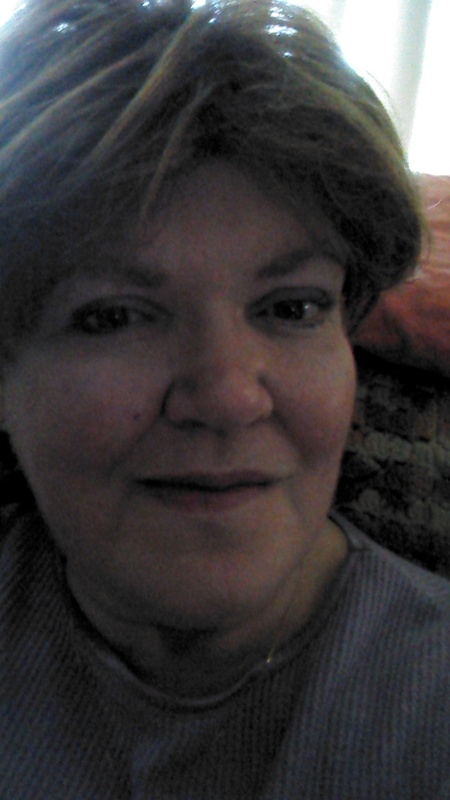 Lynda K. Scott: Thanks for having me! You can see a complete list of my books on my website http://www.lyndakscott.com under books. You’ll also find my YA anthology (I’m in another one due to come out next month). I have contests each month for members of my newsletter group where I give books, book marks, or other goodies to one lucky member selected by my writing companion and alien kitten, Wookie. I’d love it if you joined. It’s easy, just click on the link in my contact information and fill out the form. You bet and thanks for being here! Good interview! I enjoyed learning more about you and your books. Great interview! I look forward to reading your book.